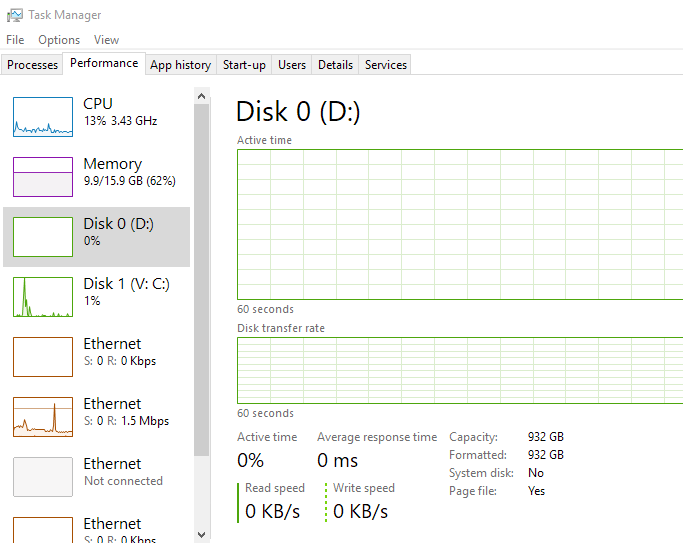 Can’t see the disk performance in task manager on a Windows Server? With any luck, that should be it now showing in Task manager, if it does not, close and re-open it for the disk performance indicators to appear. On occasion, you may need to re-install/install the latest raid card drivers if they are missing in order for the disk performance indicators to read and run correctly.